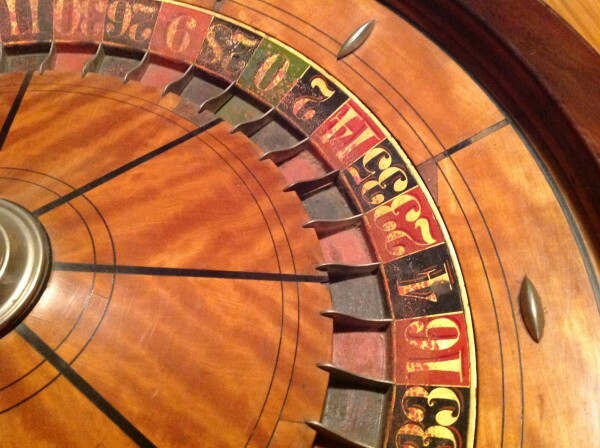 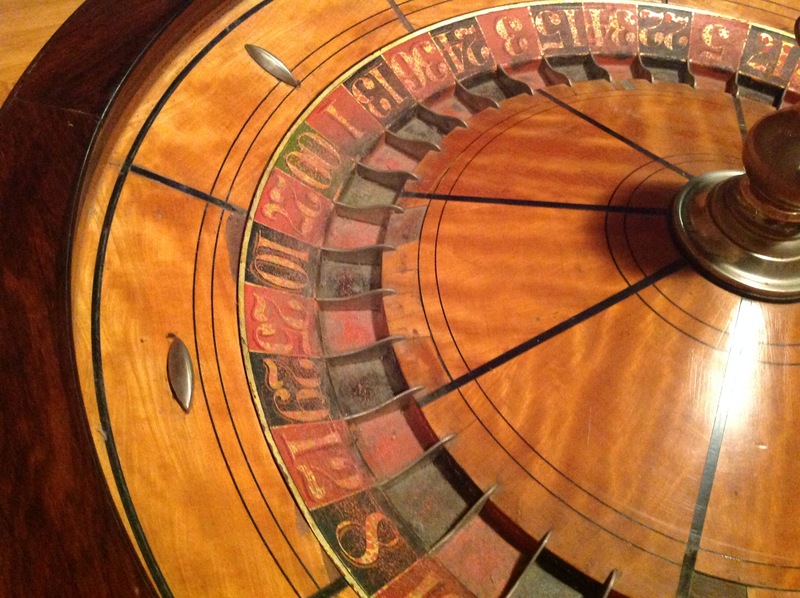 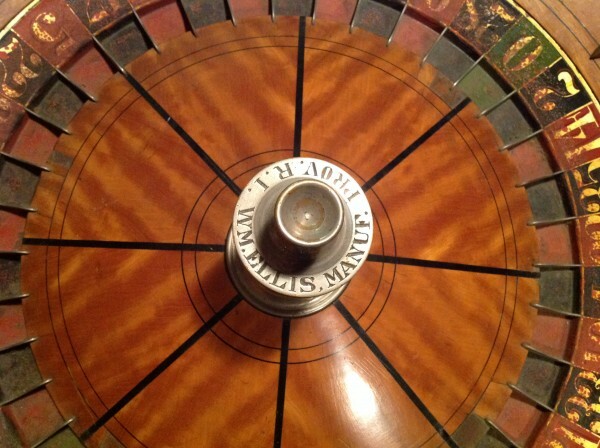 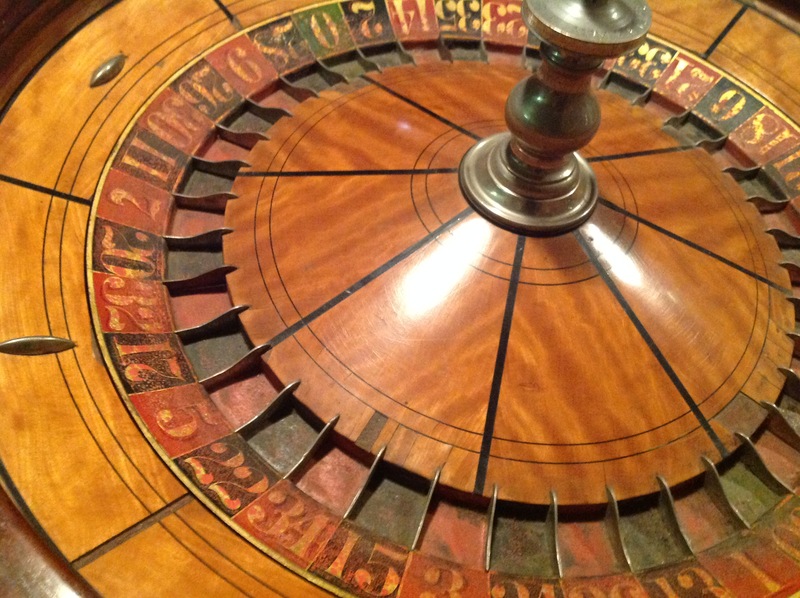 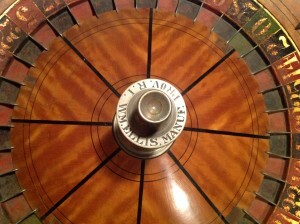 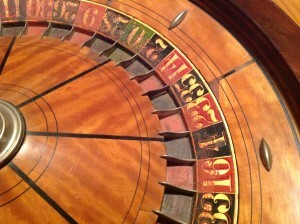 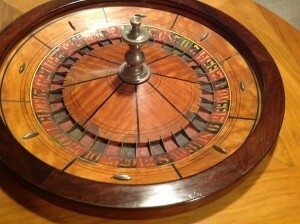 Antique 31″ casino roulette wheel in as found condition. 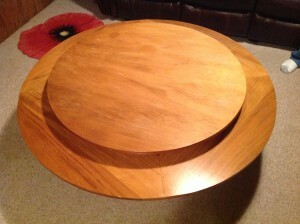 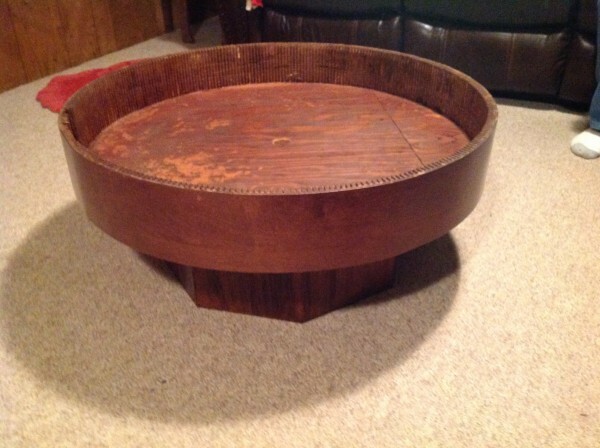 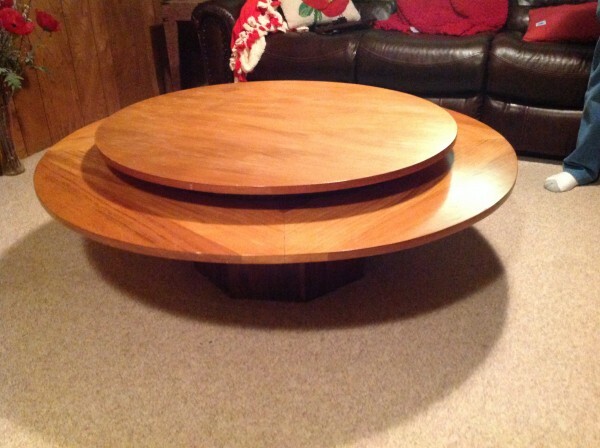 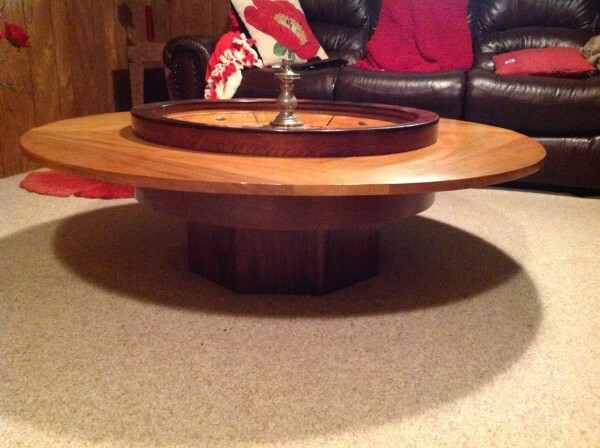 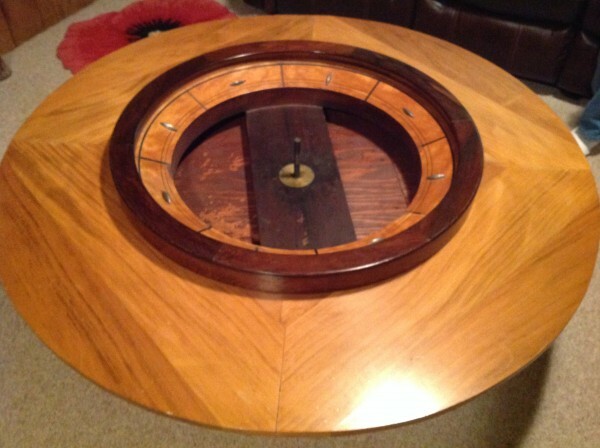 Custom made coffee table surrounds the wheel with decorative top. Some small pieces of veneer missing but does not affect the functioning of the wheel. 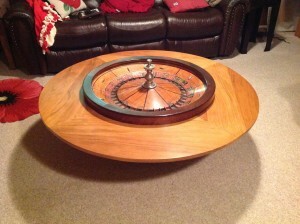 Would look good in a gameroom or “man cave”………..